Snow peaks! Clear view of Kinner Kailash at 6,500 m (21,320 ft) from Sangla. 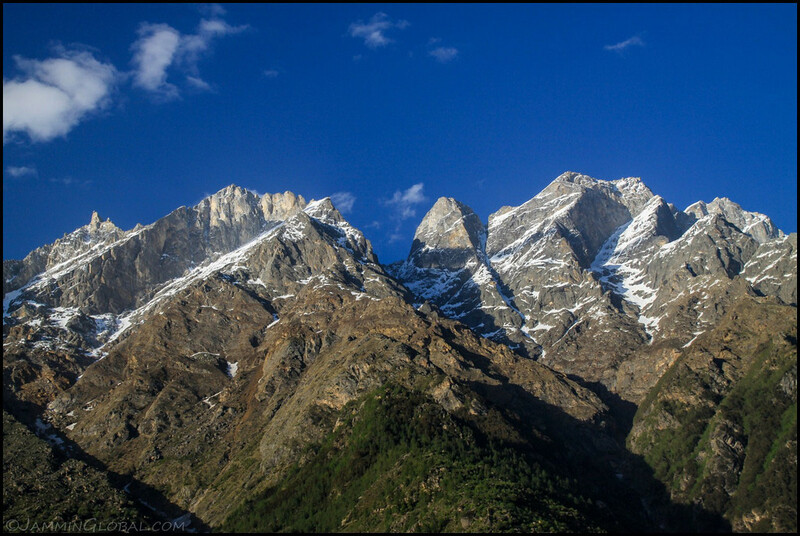 The mountain is sacred to both Hindus and Buddhists from the Kinnaur Valley. It’s not Mount Kailash, across the border in Tibet, where Lord Shiva is said to reside but the Kinner is still special as it’s considered the winter abode of Shiva. The story goes that Shiva granted a wish to a demon who then tried to kill Shiva but he hid from him in these mountains and with the help of Vishnu, they killed the demon. While snow means the air is cold, I’ve missed being cheered up by it. My last snow sighting was two years ago when sanDRina and I crossed the Alps. Beyond just looking, I want to ski down those slopes (across the valley has much more snow cover) like in this ski trip video from 2009 in Colorado.